Interesting update to this, one of my readers Ron Evans thinks this might be down to the type of software you use to download the firmware. 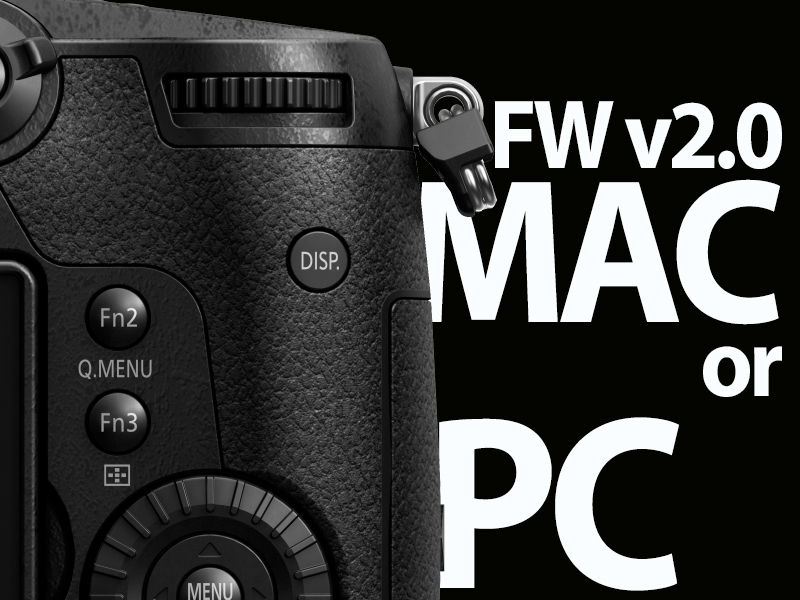 The PC version has the POWER SAVE LVF SHOOTING mode in the OFF position while the MAC version which is the one I used is at the ONE SEC position. That would account for at least 50% of users not having this problem. Since this post I have been informed a PC user had the same problem, meanwhile this note has appeared on Panasonic’s download page. 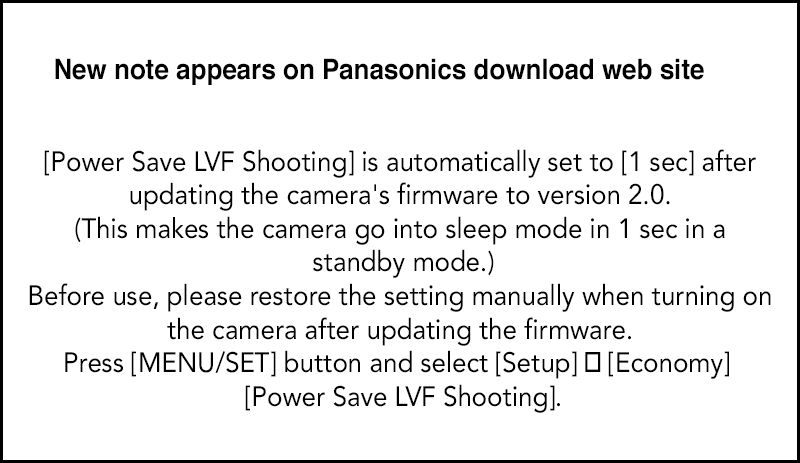 I love the fact that Panasonic tell you to restore the setting but not telling you to restore it to what ??? Why not try downloading it on pc machine and reinstall from there. HDW : No need if you follow my post on setting the switch to off. You are probably right because I downloaded the Mac version of the v.2 firmware and it set the Power Save LVF Shooting to 1 sec too.